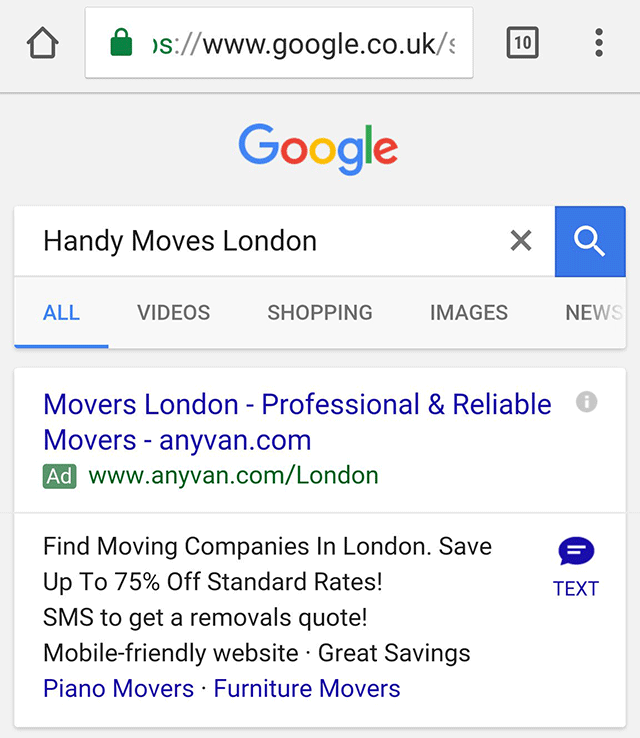 This past June, we reported some users seeing the new AdWords click to text SMS ad extension on the Google AdWords results. In short, it is a way for searchers from their mobile devices to send a text/SMS message to the advertiser to unlock a deal or message. Well, now it seems to have been hitting some searchers in the UK. Truth is, I have not seen other examples since I last reported it in June, so maybe Google is going to start rolling it out more?